Immediately getting to work on your harvest is crucial in avoiding bone sour. At last! You've put an elk or a moose on the ground. It's the culmination of months, sometimes years, of training, searching, and putting in application after application&apos;¦after application. Now, as they say, the hard work begins. But field dressing an elk or moose, or even a really big deer, is literally an entirely different animal from ye olde whitetail. Everyone knows that if you don't cool an animal down quickly you risk losing the meat. But the larger the carcass, the harder this is to do, especially considering that archery hunting and early gun seasons can be in warm, even hot, weather. Once an animal dies, heat is your enemy. Poorly shot animals that run and need to be tracked down over hours or overnight are particularly susceptible, but no matter how well you shot an animal, if it lies ungutted and warm, it can develop what's called "bone sour." Bone sour. The name is as bad as what it represents. You'll know if this happens. When you open the carcass, the meat will stink horribly of rotten flesh, and there will be a green tinge near the bone. It's a lot like gangrene, and once bone sour starts, there is nothing you can do to stop it. Even chilling the meat won't help. Basically, bone sour is when the carcass does not cool fast enough and bacteria explodes within, rotting the meat from the bones outward. This most commonly occurs in larger animals like elk and moose, but it can happen in deer, too. There is no way to fix or salvage the meat. I've heard of whole elk being lost to bone sour. All cervids have body temperatures of at least 100 degrees F, and mule deer can run as high as 104 degrees F. Your job is to get that meat cooler than 80 degrees F in the first hour if at all possible. With a deer it normally just means gutting it, unless it's hot out, in which case you need to skin the animal quickly, too. With elk, moose, really big deer, and caribou, not only must you gut and skin the animal, but also, unless it's really cold out, you will want to quarter it, too. Quality air flow helps drop the temperature of your meat to prevent bone sour. Why? Airflow. A big elk hindquarter can be two feet thick, and without enough airflow around it to cool the ham, it can start to spoil right where the femur attaches to the pelvis. This and the front shoulder are the most common origin spots for bone sour. An exception to this is cold-weather hunting. If you are in bitterly cold weather, quartering an elk or moose or caribou is still a good idea, but leave the hide on as protection from freezing. 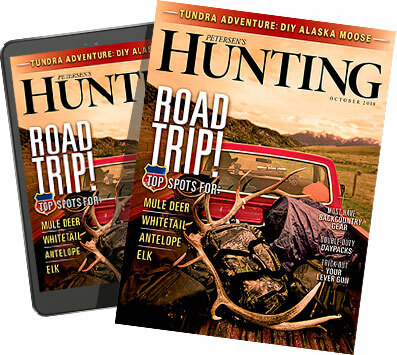 On the other hand, if you are elk hunting and it's hot, say, 80 degrees F or warmer, you might want to go one step further and use a knife to separate some of the large hind leg muscles from each other, cutting down to the bone, but not off the femur. Prop the two muscles apart with something clean to cool down the meat even faster. This is one of the only ways to avoid bone sour in a massive elk haunch in this sort of weather. If you can't hang the quarters, keep them off the ground or off the bed of the truck with logs, PVC pipe, or whatever — anything that will allow air to flow underneath those giant hindquarters. Once you have your hind legs squared away, do this for the front legs, too. And remember, you are not out of the woods yet. You still need to cool the meat to an internal temperature of at least 45 degrees F within 24 hours, if at all possible, and for proper aging, you actually want a cooler temperature, about 35 degrees F. But getting the interior of a giant elk or moose haunch that cold in a day requires serious refrigeration. For God's sake, don't pack your quarters into plastic trash bags unless you are damn well sure the interior of each quarter is well chilled. Plastic prevents the meat from cooling and traps moisture. Game bags are the way to go for avoiding bone sour. If you are packing quarters on ice, place a blanket or some burlap between the meat and the ice to prevent it from getting waterlogged. Bottom line: Bone sour isn't common, but it does happen, especially in warm weather. There is a chance that even if you don't follow these guidelines your meat will be OK. But after all your hard work to get an elk or moose on the ground, to see it rot before you can even get the animal out of the field is heartbreaking. Do you really want to take that chance?